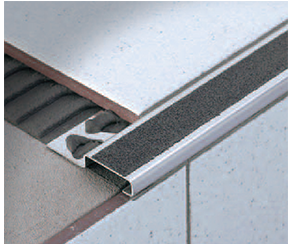 Beta Contech offers a vast range of profiles produced from PVC, aluminum, brass and stainless steel to satisfy all sorts of requirements and uses in the laying/fixing of floors in tiles, wood, carpeting, linoleum, marble, laminated wood, melamine-coated wood, etc. The profiles are suitable for various applications such as residential, commercial, hospitals, hotels, educational buildings, transportation facilities, and others. 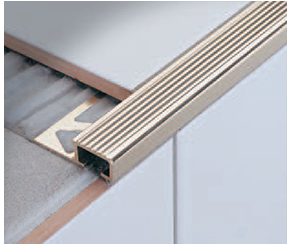 STAIRTEC FI is a technical profile especially designed to edge ceramic or porcelain stoneware tile steps. 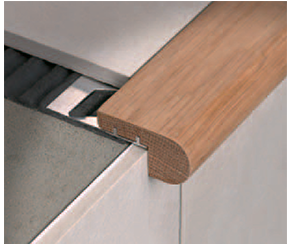 It is highly resistant and is an economic solution to the “special ceramic edge piece”. Although made of steel it can still give a pleasant look to the staircase, especially in public or commercial areas. STAIRTEC FI can handle intense pedestrian transit and maintains its safety feature thanks to the carborundum anti-slip strips on its surface. 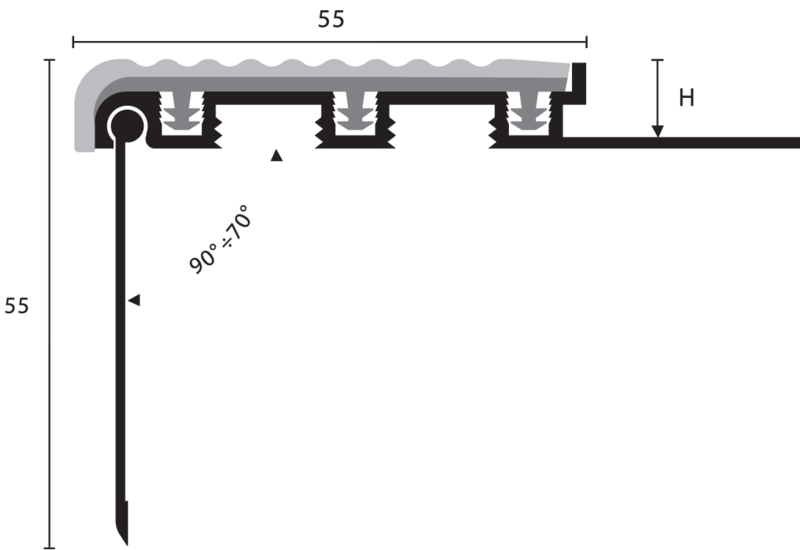 Illustrated scale dimension 1:1. 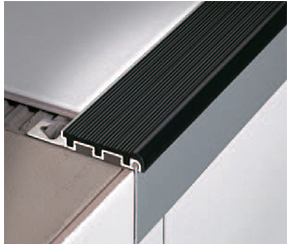 UNI-STAIR EA is an aluminum profile for stairs. It may be fixed either with screws or adhesive glue. 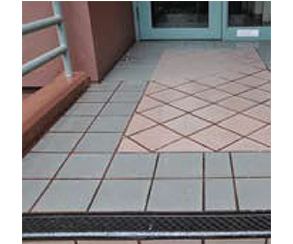 It is meant to satisfy both indoor and outdoor stair nosing situations as it bears high tolerance against oxidation. 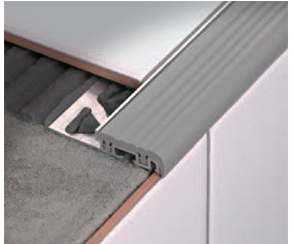 This profile is developed with a top grooved surface and is also supplied with a chamfered edge to better ensure the safety step. 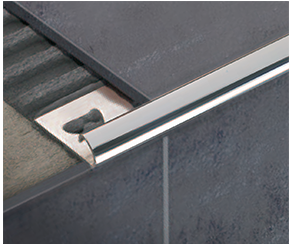 Composed of a primary alloy particularly suitable for more complex extrusion processes, it offers a high general tolerance along with a quality top at a natural state for further finish treatments. Anodic oxidation process against corrosion generated by atmospheric agents not associated with galvanization processes. Profiles are previously treated so as to become uniformly mat and subsequently electro-chemically oxidized and colored in the standard Silver. 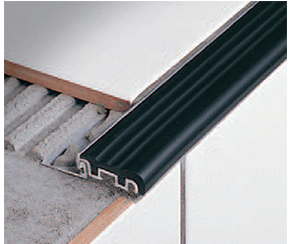 UNI-STAIR EA is an aluminum profile for stairs. It may be fixed either with screws or adhesive glue. 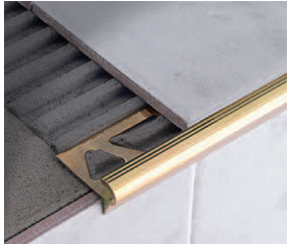 It is meant to satisfy both indoor and outdoor stair nosing situations as it bears high tolerance against oxidation. 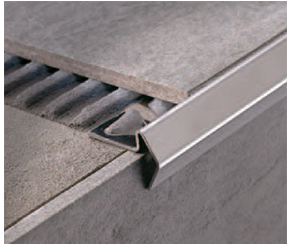 This profile is developed with a top grooved surface and is also supplied with a chamfered edge to better ensure the safety step.